Marathi films are getting better and better in all the genres. In comedy genre new film Sarva Lines Vyasta Aahet is coming to meet us this 11th January 2019. Title of the film is a line which we hear very often on call when it’s engaged but what connection it has with the film? This is going to be interesting to watch. 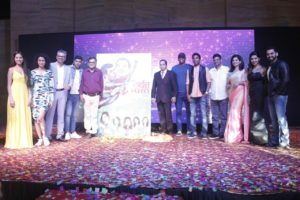 It’s a multi starrer film with the leading star cast of Mahesh Manjrekar, Siddharth Jadhav, Saurabh Gokhale, Sanskruti Balgude, Neetha Shetty – Salvi, Hemangi Kavi, Smita Shewale, Kamlakar Satpute, Madhavi Soman, Sandhya Kute, Priyanka Mungekar, Satish Aagashe, Shivaji Redkar, Hitesh Sampat, Gaurav More, etc. Pradip Raghunath Mestri directorial Sarva Lines Vyasta Aahet is produced by Stellaria Studios and it’s presented by Amol Utekar. 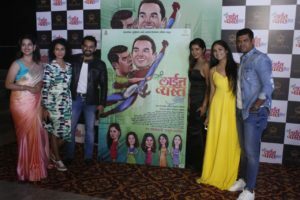 Overall what is this film about and its story will be revealed soon but its music is recently launched with great excitement on 15th November at Four Seasons Hotel, Mumbai in the presence of Sarva Lines Vyasta Aahet Star Cast and team. 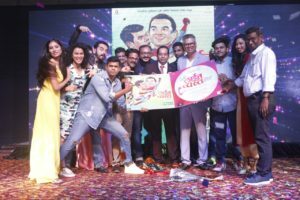 Siddharth Jadhav, Sanskruti Balgude, Smita Shewale, Saurabh Gokhale, Neetha Shetty, Music Composer Pankaj Padghan, Choreographer Umesh Jadhav, Dilip Mestri, Editor Aashish Mhatre, DOP Sameer Aathale all these celebs graced the event by their presence. In the above video you can enjoy the glimpse of the event and the interviews of few of these stars. The movie has five interesting songs like ‘Dillachi Taar’, ‘Gadbade Baba’, ‘Yek Number’, ‘Tu Morpankhi’ and ‘Ya Re Ya Re Naachu Saare’. 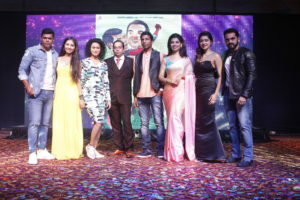 The music is done by Pankaj Padghan and Uddhav Ojha and songs are sung by popular singers like Aadarsh Shinde, Avadhoot Gupte, Saurabh Salunkhe, Swapnil Bandodkar, Madhura Patkar, Uddhav Ojha, Sagar Phadake, Ankita Bramhe and Ragini Kavthekar. Songs are penned down by lyricists Shrikant Bojewar and Valay. Screenplay and dialogues are written by Shripad joshi and Ganesh Pandit. Story is by director Pradip Mestri himself.